Rs 3 lakh to Rs 5 lakh may have been sufficient seven-eight years ago, but would be inadequate today, especially for people living in metros, points out Sanjay Kumar Singh. Many people in their mid-forties and early fifties want to enhance the sum insured on their health insurance plans because their finances now allow them, and they also want greater protection for their families and themselves. Sometimes, if they have had a few claims in their existing health policy, or have contracted a few ailments, their current insurer may turn down their request to hike the sum insured, or may apply loading (that is, charge a higher premium). One option available to such persons is to buy a top-up (TU) or super top-up (STU) from another insurer. The main reason most people need to buy TUs/STUs is to enhance their coverage. A sum insured of Rs 3 lakh to Rs 5 lakh may have been sufficient seven-eight years ago, but would be inadequate today, especially for people living in metros. Medical inflation is estimated to be in the range of 12 to 15 per cent annually. People are also worried about critical illnesses today. While a Rs 3 lakh to Rs 5 lakh cover would suffice for the treatment of most communicable diseases, it would be inadequate in case of a heart ailment or cancer. For people in their forties and fifties, whose health condition has deteriorated, buying a TU/STU from another insurer may be perhaps their only option. "Your own company's underwriting norms may be so tough that enhancing your cover from it may be difficult. But another company may have easier underwriting norms. So, continue with the base cover from the same company to avail of continuity benefits, and try to buy a TU/STU from another insurer," says Vaidyanathan Ramani, vice president and head of product innovations and research centre, Policybazaar. The deductible is the claim amount that has to be paid by the base policy or by the insured out of his pocket. In a TU, each individual claim has to be above the deductible limit for a pay-out to happen. In an STU, all the claims during a year are aggregated. If they cross the deductible limit, then a pay-out is made. Suppose that a policy has a deductible of Rs 2 lakh. A person has three claims of Rs 1.5 lakh, Rs 1 lakh and Rs 75,000 in a year. A TU policy will not pay him anything because none of the claims was of over Rs 2 lakh. But an STU will pay him. The person's aggregate claim in the year was Rs 3.25 lakh, so the STU will pay him Rs 1.25 lakh (claim of Rs 3.25 lakh less deductible of Rs 2 lakh). "If you buy a TU, then it is advisable to keep the deductible limit low," says Prasun Sikdar,MD and CEO, Cigna TTK Health Insurance. If the deductible is high, then it is advisable to buy an STU. Your deductible should be equal to the sum insured of the base policy. Suppose you have an individual or employer (group) cover of Rs 5 lakh, then you may buy an STU with a deductible of Rs 5 lakh. Suppose that your base policy is of Rs 5 lakh and you earn a non-reducing no-claim bonus (NCB) of Rs 5 lakh. A non-reducing NCB is one that once earned cannot be taken away or reduced. It means you effectively have a sum insured of Rs 10 lakh in your base policy. "In such a case, if you want to be thrifty you can opt for a deductible of Rs 10 lakh," says Vaidyanathan. 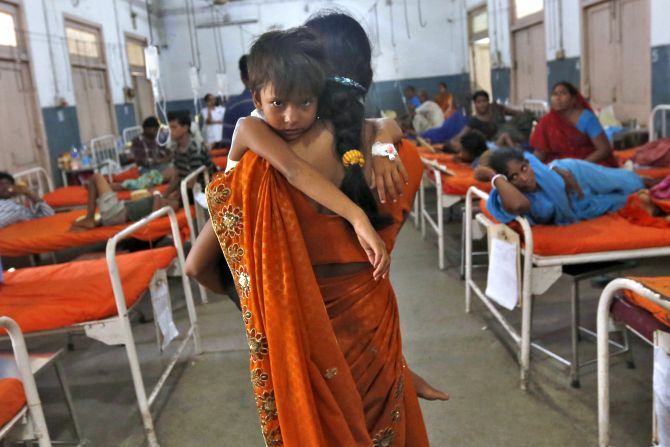 Many people who have a high level of income or assets do not buy a base policy as they are willing to bear the burden of a medical emergency out of their own pocket, up to a certain extent, say, Rs 5 lakh. Such a person should set his deductible at Rs 5 lakh. Costs of these policies vary considerably from one insurer to another (please see table above). One reason is that companies fix their premiums based on the features they offer and their claims experience. Pricing also depends on strategy. "Companies with a large customer base usually price their TUs/STUs in line with the pricing of their base policy, or only marginally lower. Newcomers, or smaller insurers, could price them more aggressively. Such companies target the secondary market comprising customers who have a base policy from another insurer," says Vaidyanathan. Such insurers usually have stricter underwriting norms. Only people in good health may be able to buy a policy from them. When buying a TU/STU, consider the insurer's brand strength, claim settlement ratio, and product features. Many of the STUs available could be plain vanilla products. "Look at the breadth of coverage of the policy and whether it offers desirable features such as out-patient department (OPD) cover. Also watch out for sub-limits and waiting periods," says Sikdar. Avoid sub-limits, which could apply to room rentals or to treatment of certain diseases. Opt for a policy with minimal waiting period for pre-existing diseases. If your base policy and your STU are from different companies, the claims process can be difficult. "The customer will have to submit all the original documents (prescriptions, bills, etc) to the base policy insurer. "Until those papers are returned, s/he cannot submit a claim request to the second insurer," says Arvind Laddha, deputy chief executive officer, JLT Independent Insurance Brokers. The customer may have to wait. Alternatively, s/he could get copies authenticated by the first insurer and submit them.